This image is of an area of Butte, Montana in 1890. Butte attracted a disproportionately large number of Irish immigrants in the 19th century-in particular from the Beara Peninsula (Cork/Kerry) in Ireland-due to the copper mining industry. 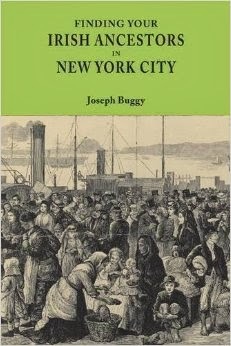 Irish immigrants from particular parishes and counties often settled in the same parts of many U.S. cities as their countymen and women. The names that these areas were given can be a clue to where they are from in Ireland. However, coupled with this, it can also just be an indication of a general Irish area in a city. 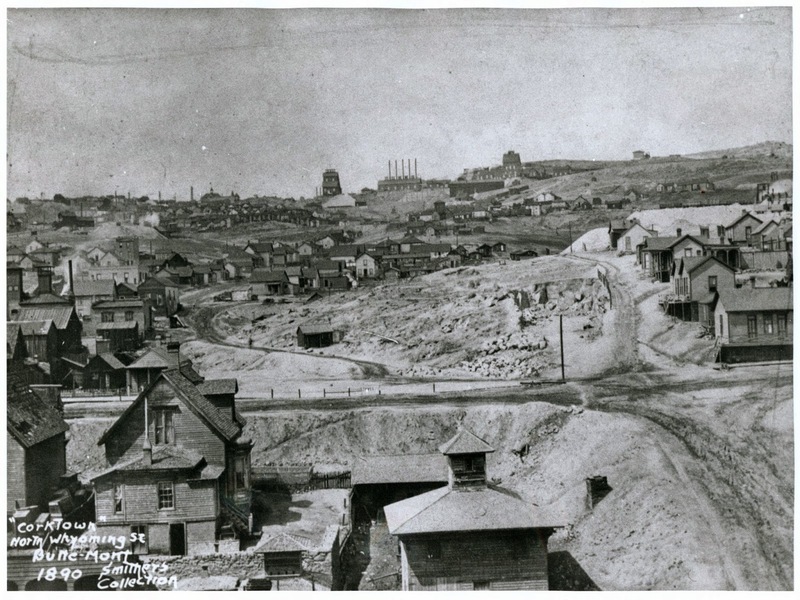 The caption in the image reads: "Corktown, North Wyoming St., Butte, Mont, 1890 Smithers Collections." You can read more about this area of Buttle on a community Facebook page. The modern day Wyoming Ave. is on the north side of Butte, however I am not sure if they are one and the same. Source: Montana Memory Project. The original owner of this image is Louis Fontana and it forms part of the Smither Collection.